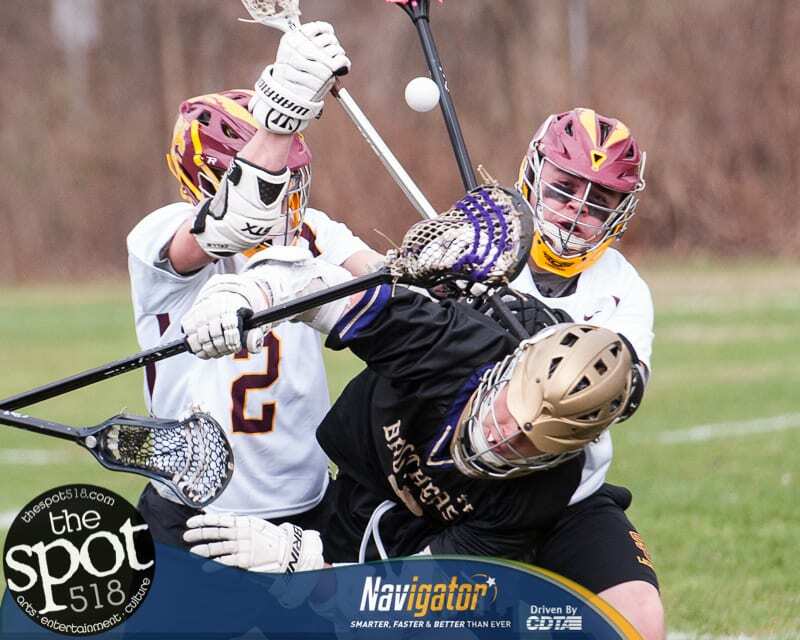 COLONIE – The Brothers scored a dozen goals in the first half of a Suburban Council matchup and crushed the Garnet Raiders on Thursday, April 26, by a score of 13-2. Nolan Aery led the way for CBA with two goals and three assists. Anthony Pizzola and Freddie Smith had two goals and an assist each. A host of Brothers had a goal including, Jon Rollo, Nick Torino, Luke McMahon, Ben Curro, Dale Hammond, Mike Pumiglia and Mike Cunningham. Vincent Leraci had a goal and an assist for Colonie while Ken Doan had a goal. Justin Loudis had seven saves for Colonie while his counterpart, Lachlan Rogers, had six. CBA will host Troy and Colonie is set to host Shaker on Tuesday, May 1.